Another great team performance from our LKS2 hockey team. They demonstrated great dribbling skills, passing and tackling against 17 other schools. We ended the half term with a super scientific extravaganza of learning! This involved our pupils eliminating culprits using scientific skills. 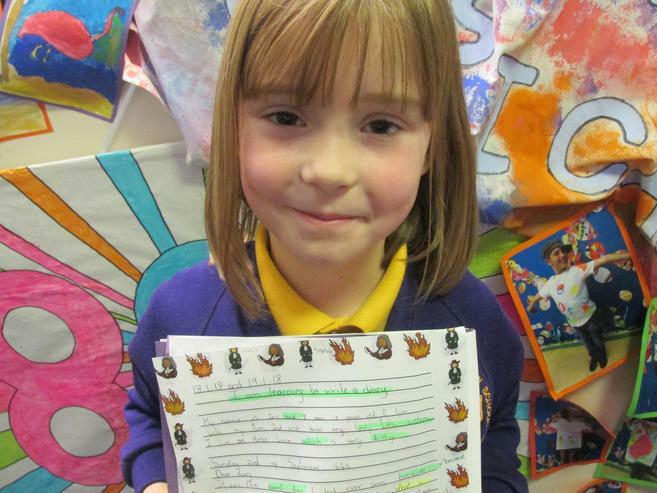 What was particularly impressive was the reasoning and deep thinking across school about the crime. Well done everyone concerned. Another excellent tournament performance from Mr Devlin's hockey team at the Newcastle Games event. Well done team! Great skills and team spirit. Great arithmetic scores from these year 6 pupils. Mrs Coker was so impressed with their mental agility. Year 3 demonstrated their balancing with points and patches as well as supporting balances with other gymnasts. This year 5 mathematician worked hard to develop his written multiplication methods. Brilliant shooting, passing and movement from our basketball team that won the Premier Sports cup. Excellent team play and technique. 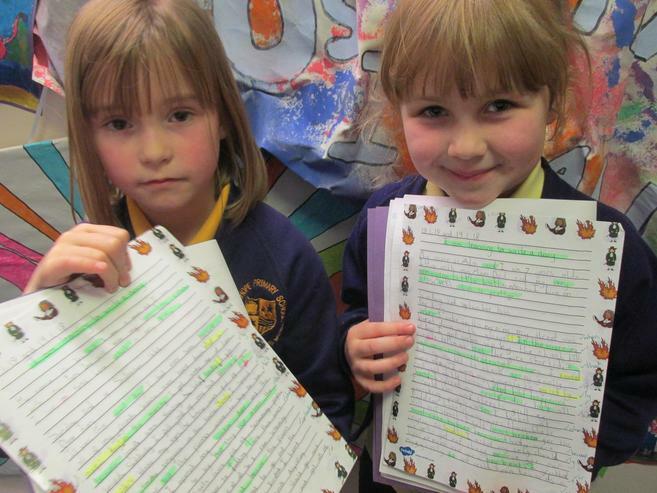 These year 2 girls have a wonderful knowledge of the Great Fire of London. 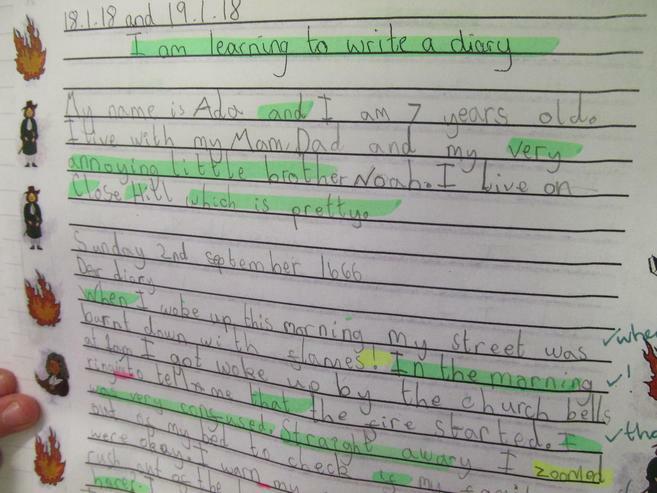 They were able to talk about the event at great length and have written some detailed diary entries. 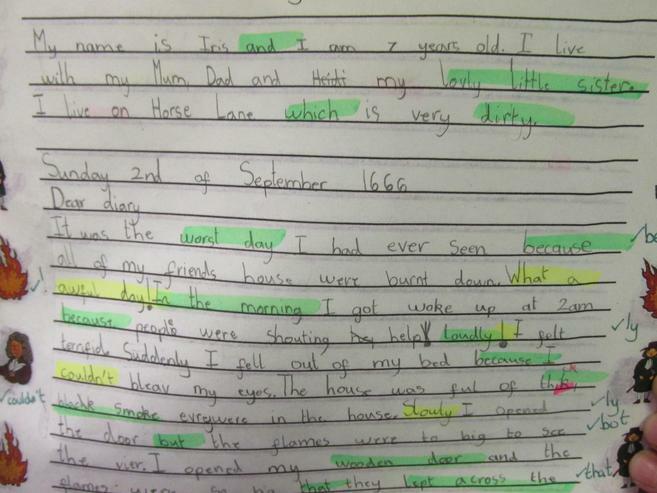 Just like Samuel Pepys! Great passing, receiving and movement off the ball from our netball team at the Walker Dome this week. Friday 19th January - Well done to our stars of the week this week! Fantastic! Our year 6 pupils have a great sense of fun and team spirit. We call them 'the crème de la crème'. 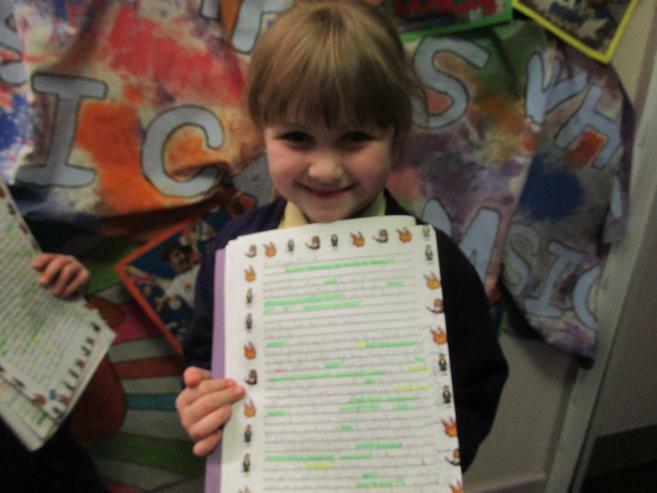 Mrs Boakes was really impressed with this young writer today. Well done to our 'stars' this week. They have made a great start to 2018! Mr Devlin has organised a program of badminton coaching for our classes with Mr Hall. He introduced our year 5 pupils to the fundamentals of the game this week. Year 3 were mastering Google Earth today to find out about our world. They located various places around our country in 2D and 3D. Our classes have started to look at new topics this term. This class walked into a mysterious scene today. I wonder what year 1 are learning this spring?